As most of you know, sponsoring charities is near and dear to the heart of our company and our family. 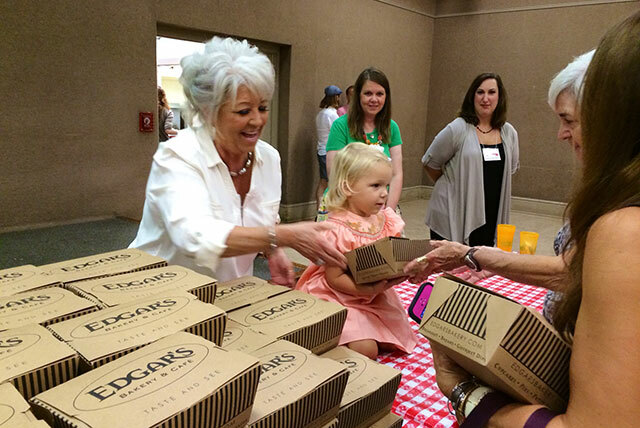 When the Community Food Bank of Central Alabama and Paula Deen asked us to participate in Paula Deen’s Box Lunch to End Hunger, we jumped at the chance. Not only was the event a lot of fun, but we also raised more than $9,000! 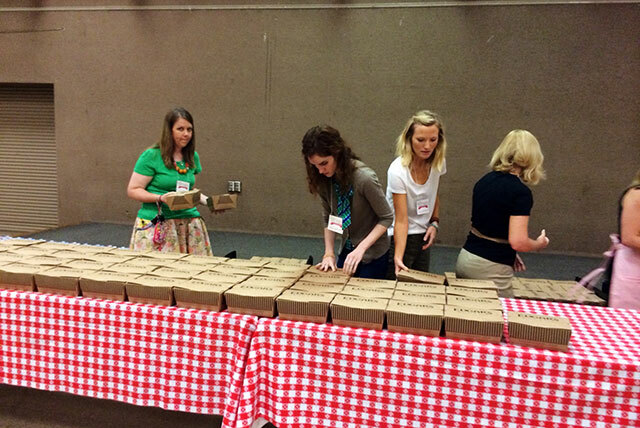 Last year, more than 9 million pounds of food was distributed in our area. It’s so fulfilling to support the community and make a difference in the lives around you. Below are some highlights. 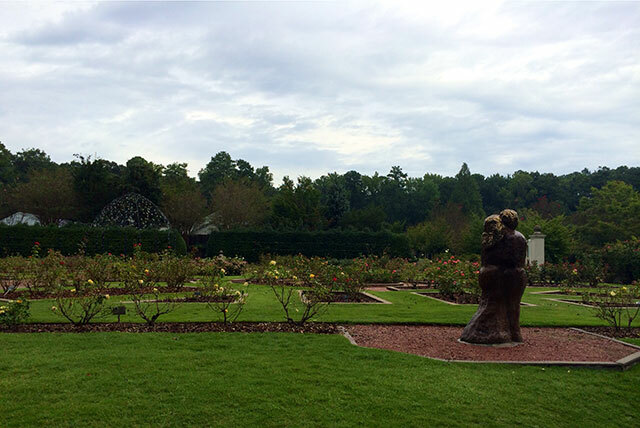 The event was hosted at the beautiful Birmingham Botanical Gardens. Some of our wonderful Hoffman Media team helping setup for the event. 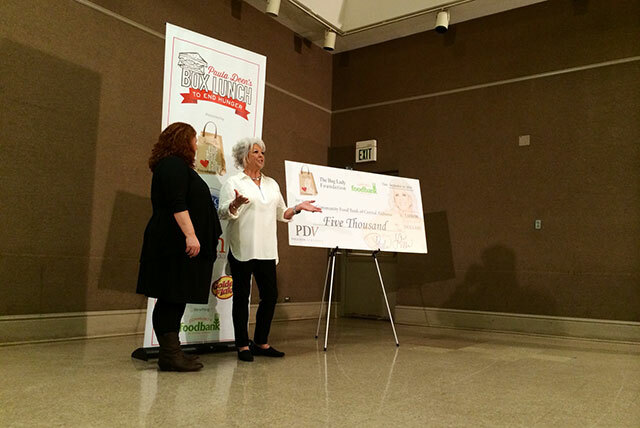 Paula’s The Bag Lady Foundation generously donated $5,000 to the cause. 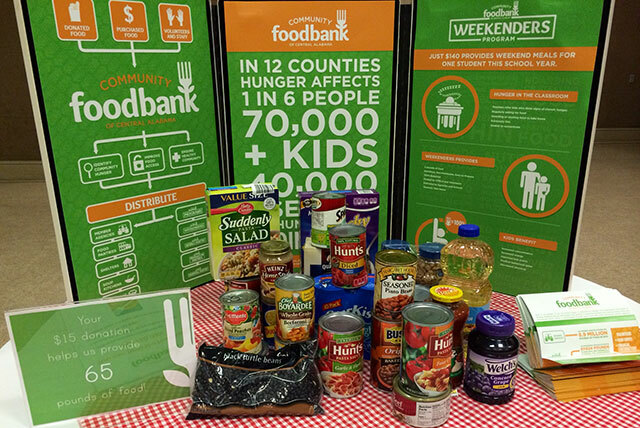 $15 is all it takes to provide 65 pounds of food to needy families! 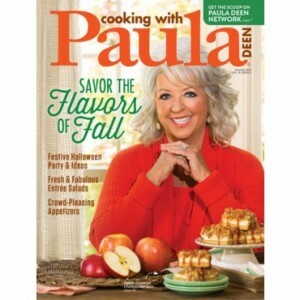 Paula got a little helper on the box lunch line. The gang’s all here! 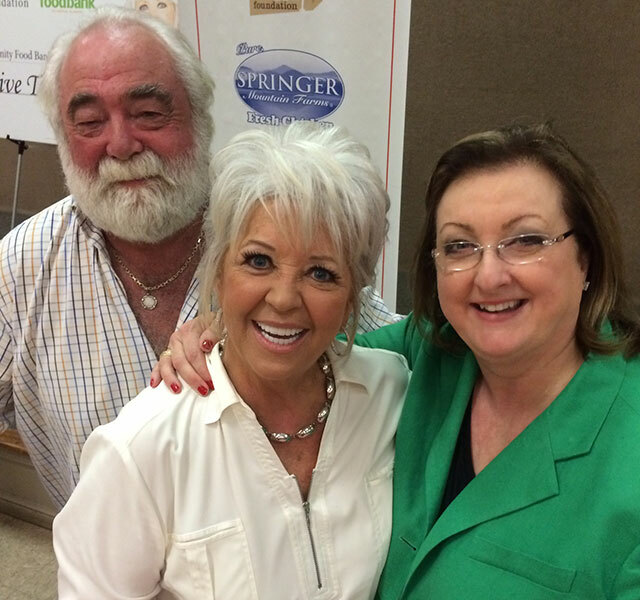 I love getting to spend time with Paula and her husband, Michael. What charities inspire you? How do you give back to your community? 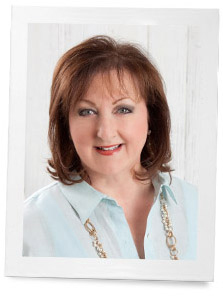 My special charity is Quilts for Kids, a non-profit organization whose mission is to transform fabrics into patchwork quilts to comfort children who are seriously ill, abused, or have other special needs. There are Chapter in almost every state and I am the Chapter Coordinator for the Georgia Chapter. You can find a chapter near you by visiting the website http://www.quilts for kids.org. Besides donating food and cash to our church, local food banks and the Gospel Mission, every November we purchase books at our local Barnes & Noble that are then distributed to patients at Seattle Children’s Hospital or Ronald McDonald House during the holiday season. Since I’m a writer who loves to read, I love putting new books in the hands of a child! The one i help with is the Franklin Graham shoe box ministry. I do 1-2 box myself and las year I went to Atlanta and helped the the preperation of each box to be sent to the different countries and locations. It was such a blessing for me. My favorite time of year is Christmas. That is when my mother and I go to the Dollar Store and spend $20.00 each on stuffed animals and take them to the Salvation Army Mission just across the street. Mom and I live on fixed incomes and times are hard but It reminds me that no matter how much you have or don’t have there are those in real need. I wish no child ever had to go without a Christmas present. I donate to many charities but a favorite of mine is at Christmas time… I choose a needy family from my grandchildren’s school and raise a goodly amount of money for that family. It gives me such great joy to know that they will experience a joyful Christmas. 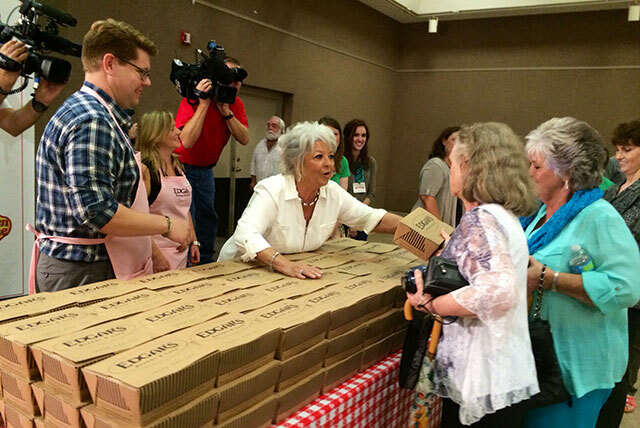 How GREAT to see someone, a celebrity caring about the people in America, (their own country) who go hungry. I salute you both!!! There are so many wonderful charities and organizations but The Salvation Army is a sentimental favourite for me. When my grandparents came to Canada in the late 40’s they received a welcome basket from the Salvation Army..there was a yellow melamine plate which lasted many moves, lunches and dinners, my father’s favourite plate, and as of late still had a place on my mom’s kitchen shelf. Aside from my own memories,this plate with all its scratches and discolourations serves as a reminder that there is always someone in need and if you just look around you can help fill that need. Reclaimed Project is a young non-profit based in Starkville, MS. They use James 1:27a as their mission: “Religion that God our Father accepts as pure and faultless is this: to look after orphans … in their distress.” They give grants to families who are adopting internationally. They also send missionaries to Botswana (the poorest country in the world) to teach skills to disenfranchised women so they can earn a living (some of their products are sold in the US); they also serve orphan children who cannot be adopted. Check out their website reclaimed project.org. One of my favorite charities is Bethesda Alliance. It raises money for Bethesda Health Clinic. The clinic provides medical & dental services to working individuals without insurance. Many health care professionals donate their time & there is a small paid staff at the clinic. There are no funds received from the State or federal government. It is a wonderful example of people taking care of their own. THANK YOU for doing something you didn’t have to. There are many charities which inspire me- but what inspires me most are the people and stories behind them. I have a rule about the meaning of success. It requires individuals give at least 10% of time or treasure- with no direct benefit back. The Garden Writers Association sponsors Plant A Row for the Hungry.